Another year of AFI FEST is over, 83 features and 36 shorts screened across eight days. This year I highlighted 33 films as high priority, set out to see 25 and ended up seeing 17. In order to give a fair amount of coverage to all 17 films viewed, I've decided to break the festival down by day(s) including short reviews for each film. Below you'll find my coverage for the sixth day of AFI FEST 2013. "The Secret Life of Walter Mitty" is a rabbit hole adventure of honesty and gratitude fixated on paying respect to life that I absolutely loved. After seeing the initial trailer, anticipation was set very high for the Ben Stiller film. I have to say that despite a few minor gripes, the film lived up to my high expectations. Director Ben Stiller clearly wanted to make a large-scale adventure that paid its respects to life and the incredible things humanity can accomplish. At that, I found the film to be a true success, not to mention a delight. This is a film that kept a smile on my face the whole time. It is a dream-big story that keeps its heart on display, albeit a tad too general at times. There's no doubt that director Ben Stiller is earnest about his film's message, like I said, the film keeps its heart on display. He takes some very broad strokes at life, love, and happiness instead of honing in on one which could leave some off-put. I loved Stiller's sense of scope in this adventure. He takes his audience through hilarious situations, gorgeous settings, and harrowing dream sequences that are each peppered with endearing and fulfilling rewards. I also really appreciated all of the storytelling that is going on in the background of the film. Everything from editing to camera-tracking played a part in Stiller's epic being told in a grand fashion. A big aspect to "The Secret Life of Walter Mitty" on display is gaining or having a sense of adventure. Getting out and living life versus living in a dream world. Not that we are all daydreamers, but so many of us are stuck in our own bubbles. I hope this angle plays into the hearts and minds of people who go out and see this film. The 21st century is fixated on our own personal world's. From 2013's word of the year, "selfie" to our new found interest in social media, our society has become more accustom to explaining their feelings through a 140 character status update versus telling someone in person. The film reminds us to live life to the fullest every single day. As someone who has grown up with Ben Stiller's comedy all the way back to his initial sketch television series, it is real nice to see what he can do with some free-reign and a large production budget. 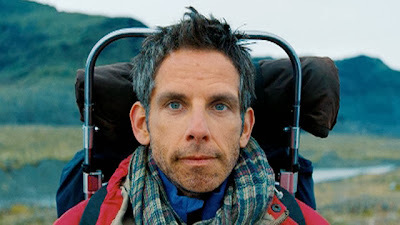 "The Secret Life of Walter Mitty" is so good it almost makes up for all the schlocky big-budget films he's done like "Night at the Museum," almost. That said, Ben Stiller as a director is someone I look forward to. He's ahead of the curve and his latest feat continues that trend not to mention will be a film that I go on to re-watch repeatedly. Stay tuned for more breakdown of each day at AFI FEST 2013. Check out more coverage from Day One, Day Two, Day Three, Day Four, and Day Five.